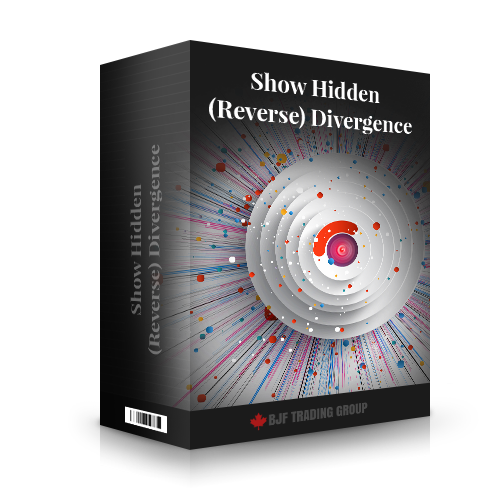 We can add possibility to show hidden (reverse) divergence for any our divergence indicator. Hidden bullish divergence happens when price is making a higher low, but the oscillator is showing a lower low . This can be seen when the pair is in an uptrend. Once price makes a higher low, look and see if the oscillator does the same. If it doesn't and makes a lower low, then we've got some hidden divergence. Hidden bearish divergence, when price makes a lower high, but the oscillator is making a higher high. This occurs in a downtrend. When you see hidden bearish divergence, chances are that the pair will continue to shoot lower and continue the downtrend.